The printed output produced by the AUTOREG procedure is shown in Output 8.4.1 and Output 8.4.2. 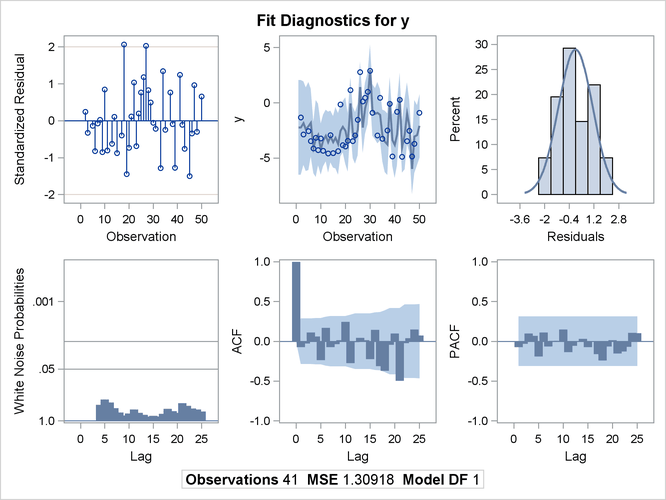 Note: the plot Output 8.4.2 can be viewed in the Autoreg.Model.FitDiagnosticPlots category by selecting View→Results. 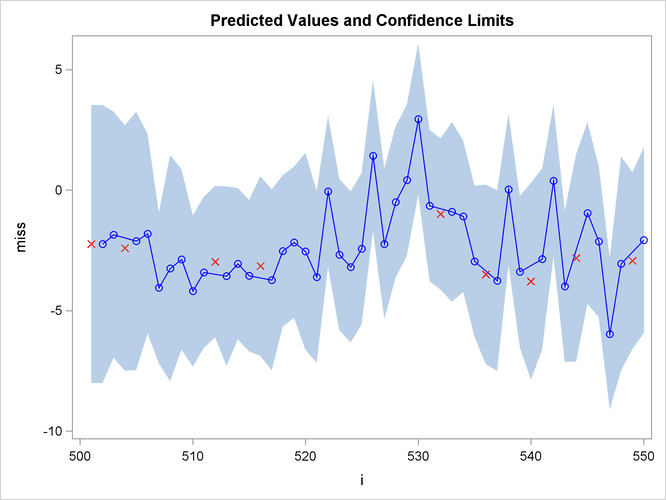 The plot of the predicted values and the upper and lower confidence limits is shown in Output 8.4.3. Note that the confidence interval is wider at the beginning of the series (when there are no past noise values to use in the forecast equation) and after missing values where, again, there is an incomplete set of past residuals.